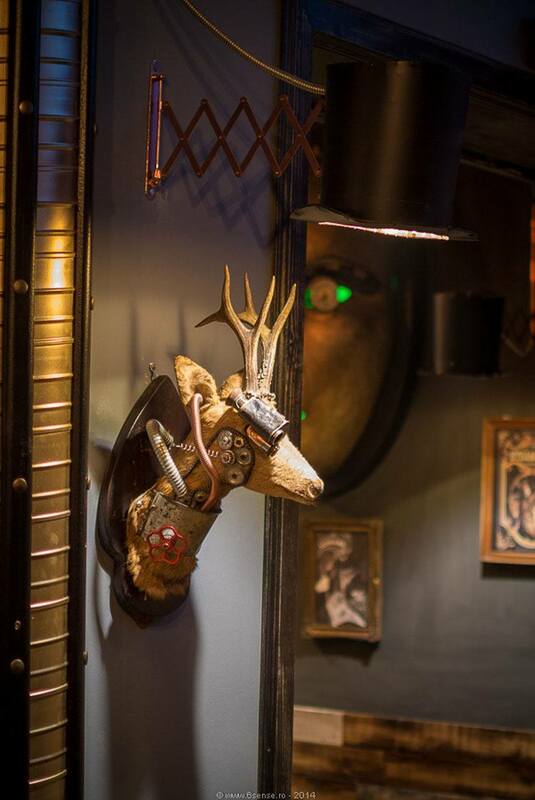 Rolling science fiction, frosty libations and 19th century relics into one, this entrancing steampunk bar is not to be missed. 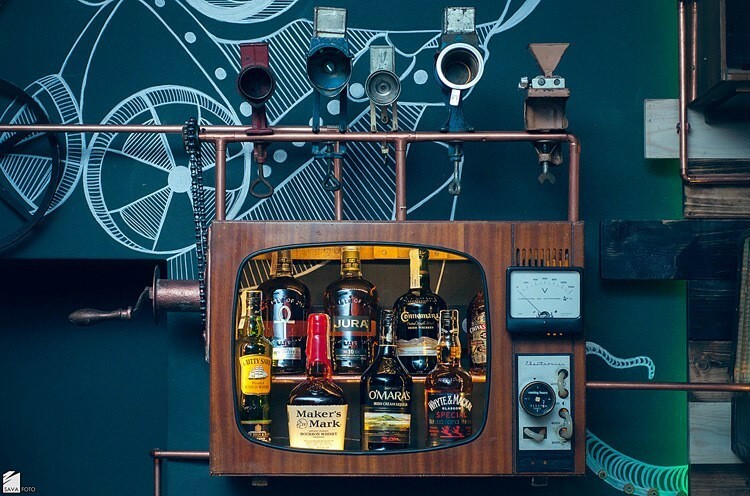 How would you like to belly up to this unique bar and order a drink? 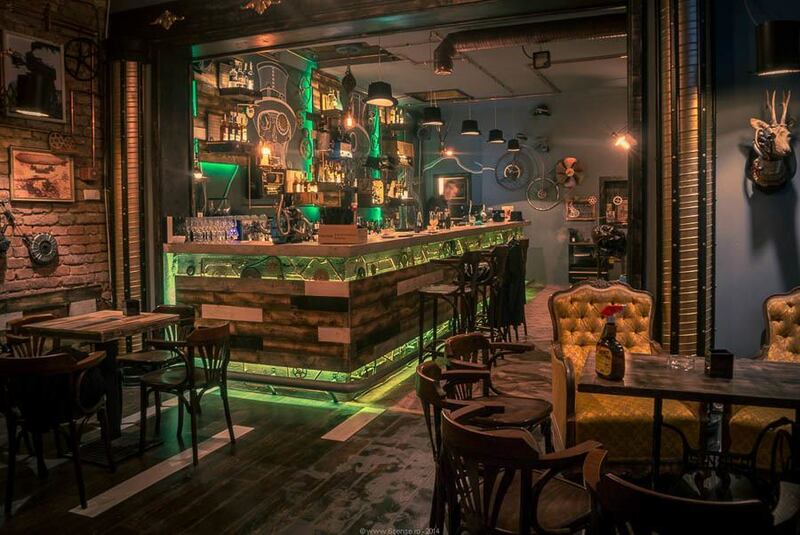 The Romanian steampunk pub, Joben Bistro, takes this trend and runs full steam ahead with it. 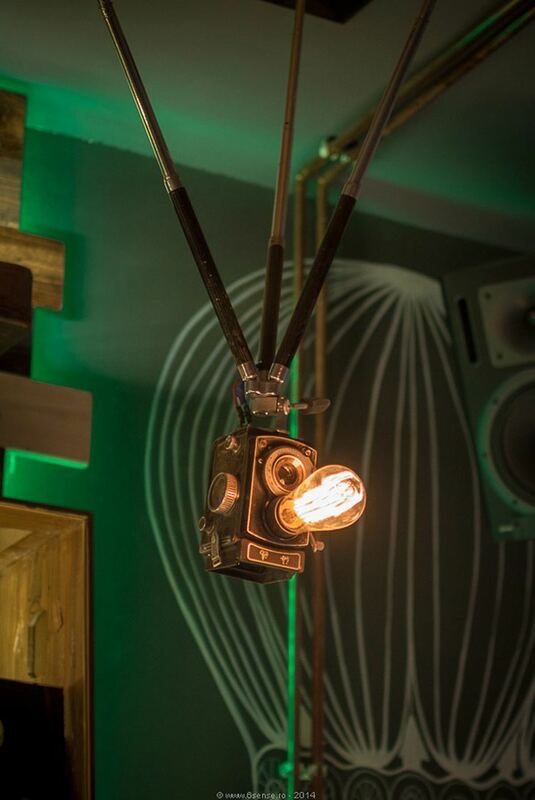 From the first step into the bistro, you are whisked away into the retro-futuristic romance of the steampunk scene. 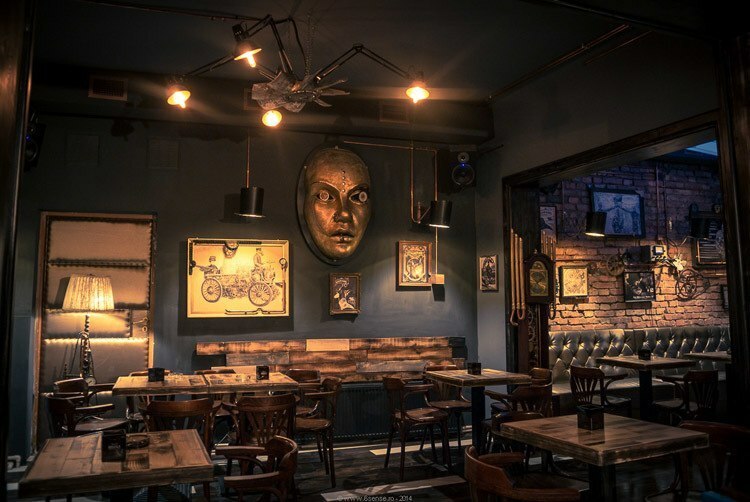 The pub itself is a fantastical work of art that leaves the time-travel seeking patron in want of nothing. Dystopian futures and science fiction are nothing new; these themes have existed for more than a hundred years and in nearly as many incarnations. 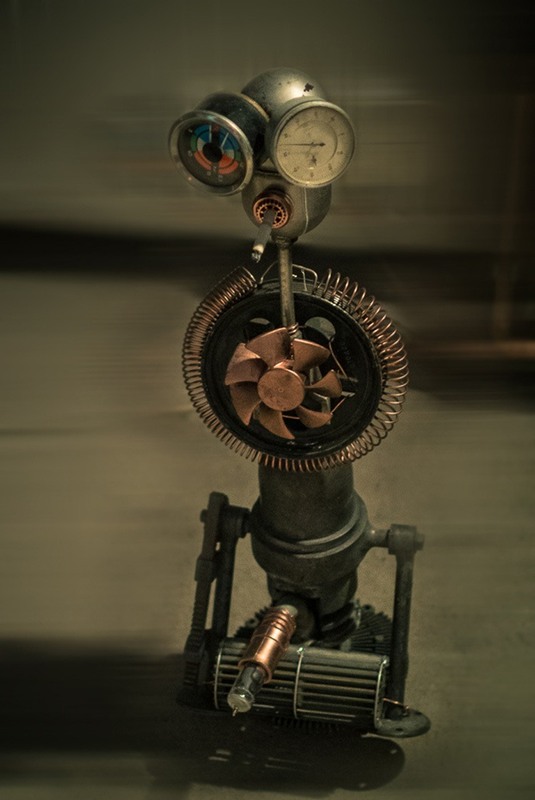 One of the fastest growing offshoots of this is Steampunk, a science fiction and fantasy sub genre featuring technology based on the 19th century harnessing of steam power. 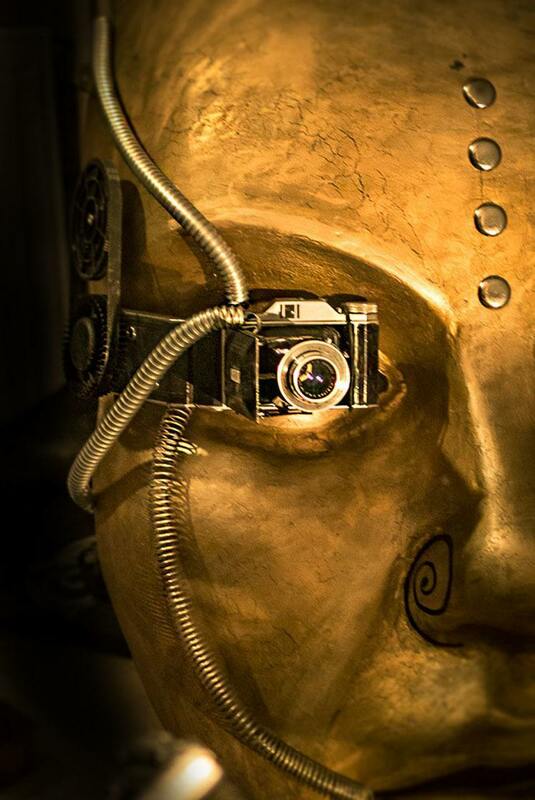 With each passing year, Steampunk art and fashion work their way further and further into everyday society. 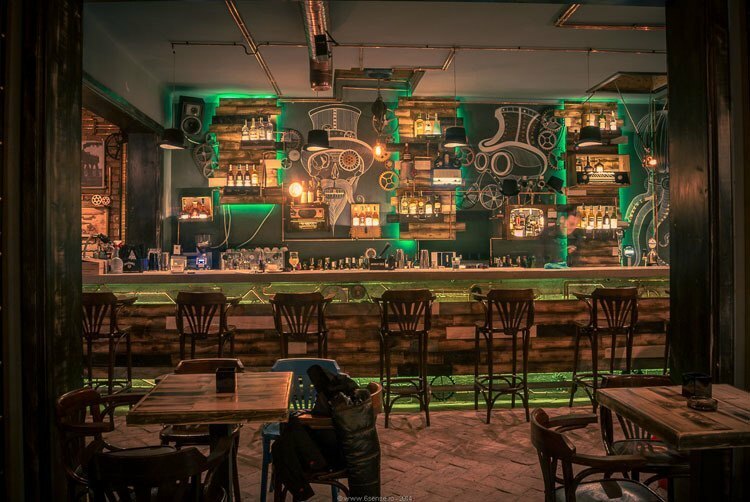 Trendy in the sci-fi dystopian subculture, the Steampunk aesthetic combines aspects of Victorian life, the old West, the Industrial Revolution, and science fiction into a gritty -yet somehow glamorous- look of a possible future. 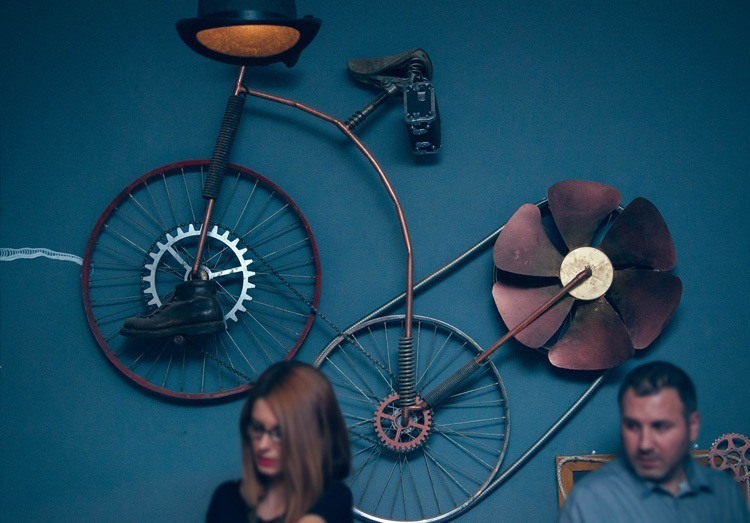 Joben Bistro was created by designers Tohotan Alexandru and Zelenyak Zoltan of 6sense Design, who comment, “With each new project we try a new challenge as we seek to create a unique design for each of them, either in the residential or commercial.” They continually expand the boundaries of interior design, and work in several disciplines including interior design, web design, industrial design, and motion graphics. 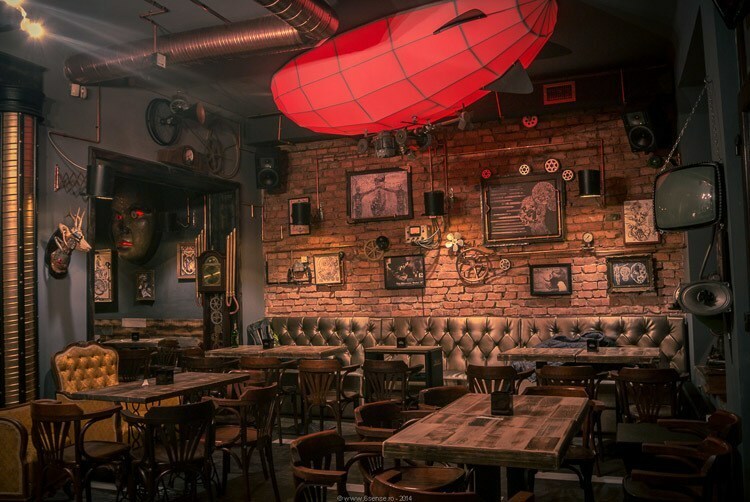 This historic, industrial factory vibe combined with the feel of a futuristic wasteland could be your perfect setting for a night out, a relaxing drink, or even just a cup of coffee while you write your own piece of post-apocalyptic literature. 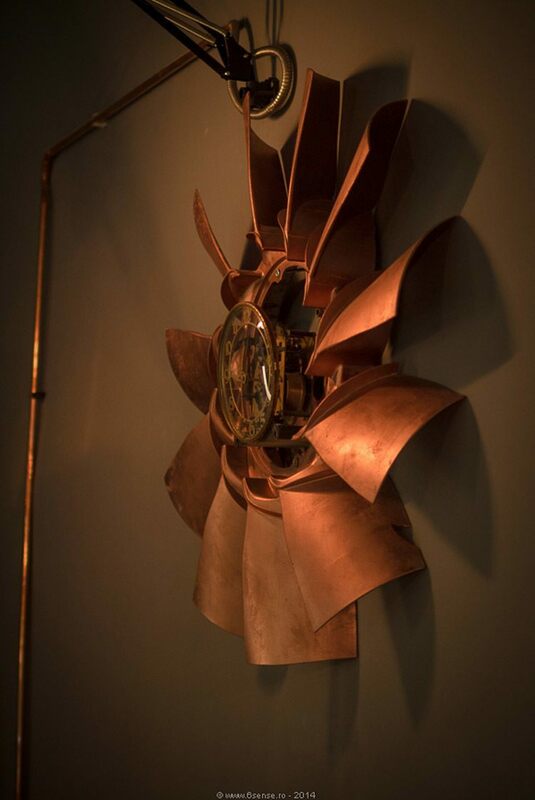 Every aspect has been modified to fit the steampunk theme; not as much as a light switch has been neglected in its transformation. 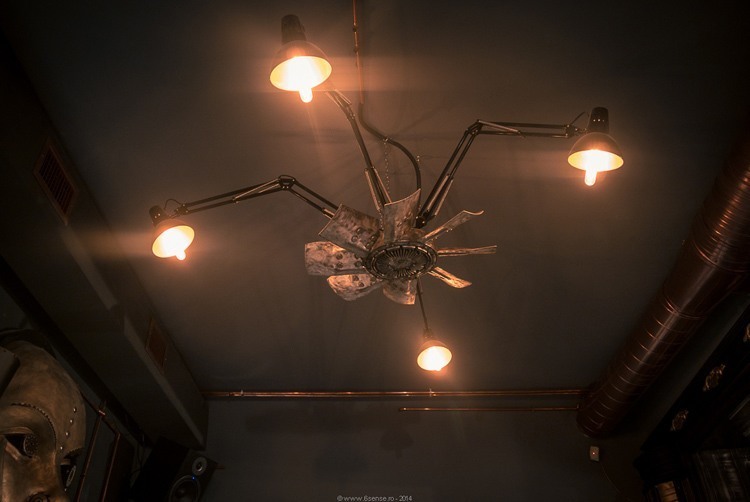 Clocks, ceiling fans, seating, and lighting have all been reimagined to give you an all-encompassing experience. 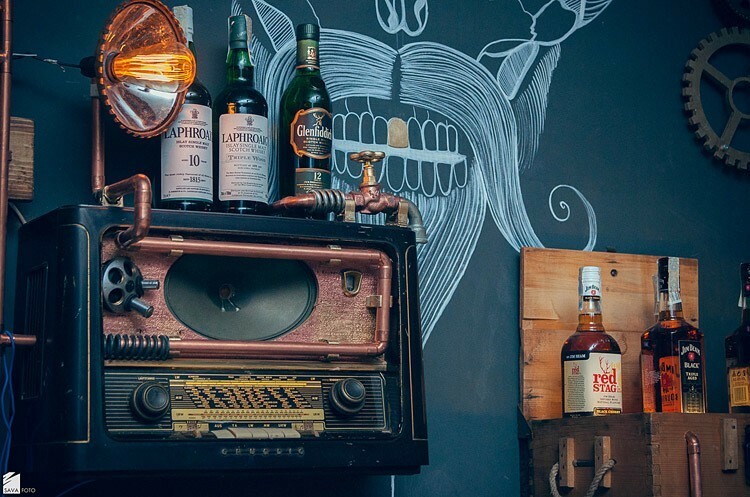 Currently gaining in popularity through shows like Firefly (and its follow-up movie Serenity), books such as Howl’s Moving Castle and The Anubis Gates, and of course the world of sci-fi and anime conventions worldwide, steampunk seems to be here for the foreseeable future. 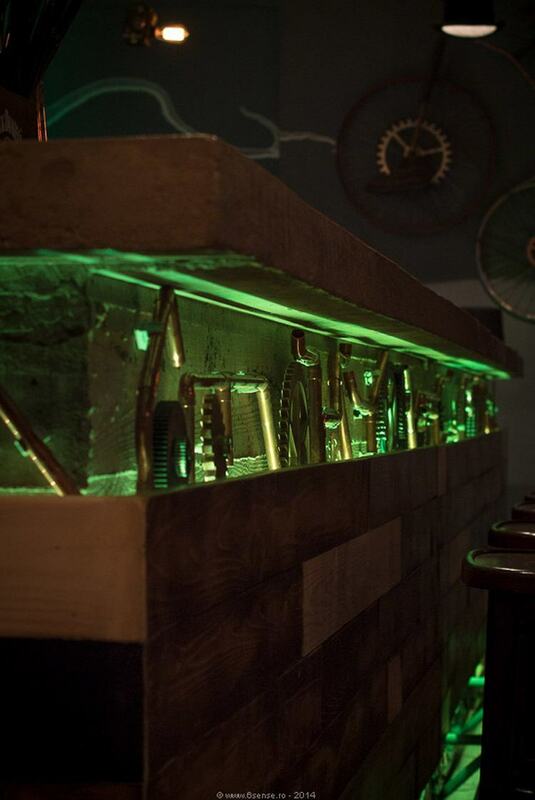 In a world run by gears and steam, everyone would need a place for the upkeep of their many gadgets and devices. Even the animal trophies have been given the treatment. It would be unsettling to hunt for such bizarre game. 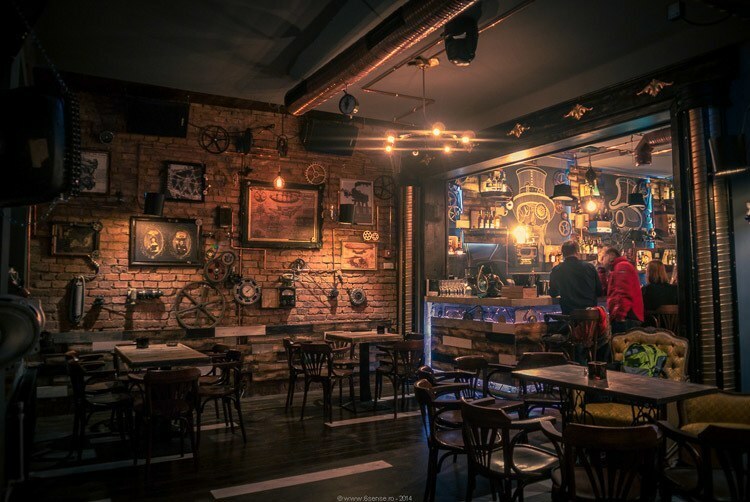 With an ever-expanding fan base, more venues like the Joben Bistro steampunk bar are sure to be popping up in the US and across the globe.